Red light therapy is a specific form of light therapy that uses red LEDs to treat skin and body conditions. Red light therapy has been proven effective in treating acne and aiding in anti-aging. For example, it tightens and firms the skin to rid of wrinkles and fine lines. It also aids in treating severe skin conditions such as Psoriasis, Eczema, Roseacea, sun damage, and more. Aside from skin disorders and conditions, Red Light Therapy can relieve joint and muscle pain. It can even help people struggling with chronic back pain. Yes, you read it correctly. Chronic pain! It doesn’t get much more impressive than that. If you want to continue dealing with acne, or you enjoy the aging process happening with your skin, or you enjoy your body aches and chronic pain, red light therapy is definitely not for you. But I’m just going to go out on a limb here and assume you don’t prefer living with these conditions. This is why you need red light therapy in your life. 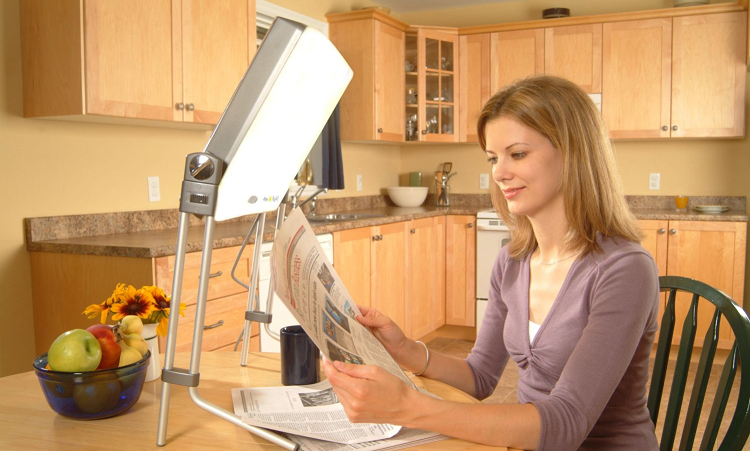 Red light therapy, like all forms of light therapy, is the natural treatment route. This therapy is safe, non-invasive, chemical free, drug free and inexpensive when done at home. Acne creams, washes, and lotions are inexpensive, filled with chemicals, and hardly ever effective. Skin rejuvenation serums are also expensive and unhealthy and don’t get me started on plastic surgery! No way! And pain killers. If pain killers can be avoided, they probably should be. Pills can upset your stomach, leave you addicted, and come with a whole book full of side affects. Red light therapy works by penetrating the skin with LEDs in the form of many different devices, depending what you’re hoping for as an end result. As for acne, red light therapy devices penetrate deep into the skin to kill acne causing bacteria and bring your skin back to it’s normal health. With skin rejuvenation, the red lights help heal and tighten the skin by repairing damaged skin cells underneath the surface of the skin. The result is reduced fine lines and wrinkles and a healthy, young looking, glow. When it comes to more serious skin conditions, such as Psoriasis, sun damage, scars, and more, Red Light Therapy treatments penetrate into the skin, helping to cure the damaged skin and stop what exactly is causing the damage. As for pain relief, red light therapy penetrates deep into the tissue underneath the surface of the skin. From here the light is absorbed by the mitochondria, or the energy of the cells. This increases the metabolism of the collective cells in the body. Healing can then begin in the muscle, skin, bone, and tissue. This speeds up the healing process and helps relieve pain. This is the common question when it comes to light therapy. Does it actually work? Our answer and the answer of doctors from all different fields of work…yes! Red light therapy actually works. It is still being studied, and the world still does not not know the maximum potential of the treatments, but it has proven more than effective in treating an extremely diverse array of conditions and disorders. Red Light Therapy is a total game changer for the medical world. -American Academy of DermatologyWhat Is Red Light Therapy?